The modern theory of the fundamental interactions describes electromagnetism (the force responsible for binding electrons to nucleii in atoms) and the weak interactions (the force responsible for radioactive decay of unstable nucleii) through a single unified force - the electroweak force. While these two forces are described symmetrically, they behave quite differently. Electromagnetism is mediated by the photon, a massless particle, and has an infinite range. The weak interaction is mediated by the W and Z particles, which have masses of about 100 times the mass of the proton, and operates only over a very short range. Our group studies how the single fundamental electroweak force comes to be manifest in nature in these two very different ways. 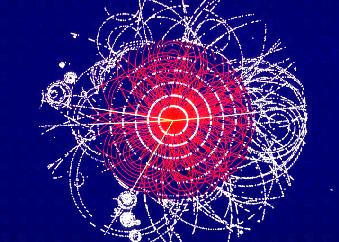 The fundamental particles of nature are the quarks (including the up- and down-quarks, the constituents of protons and neutrons) and the leptons (including the electron and its neutral partner, the electron neutrino). Together, the up- and down-quarks and the electron and electron-neutrino comprise the first "generation" of elementary particles. 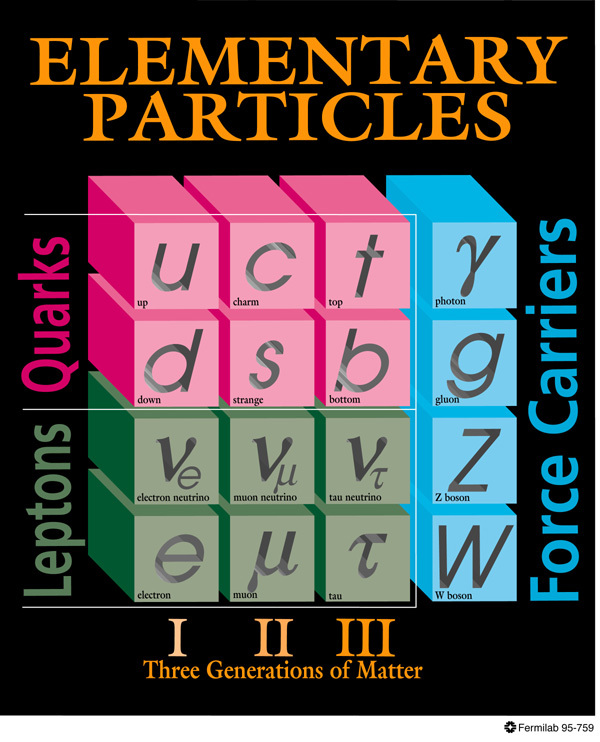 This pattern of two quarks and two leptons is repeated two more times, yielding second and third generations of heavier particles not found inside ordinary atoms. Our group studies the origin of the various masses of these elementary particles, and the mixings which allow transitions among them. 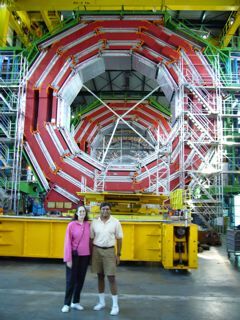 High-energy physicists study the fundamental particles and forces of nature by colliding beams of protons or electrons and observing the new forms of matter and energy produced. Beginning in 2008, the Large Hadron Collider (the LHC) at CERN (in Geneva, Switzerland) will collide counter-rotating beams of protons each accelerated to an energy of 7 trilliion electron-volts. Our group studies the observable consequences of different theories of electroweak symmetry breaking and flavor physics at current and future colliders, including at the LHC.